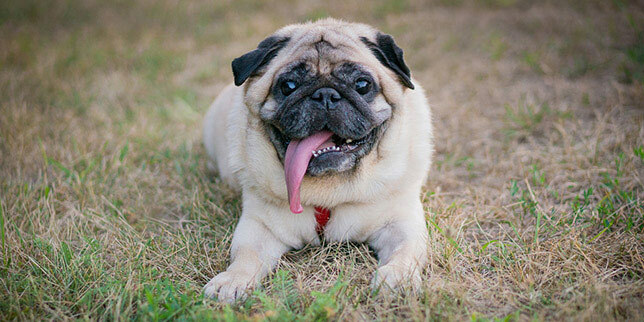 Dog Teeth Extractions: Your Questions Answered! There are times when dog teeth extractions can help your furry friend feel better. And there are other times when teeth extractions just aren’t necessary! Let our Castle Rock veterinarians help guide you. Our vets have put together the 5 questions we’re most frequently asked about this canine dental procedure, so you can make informed decisions for your pup. #1: When are dog teeth extractions necessary? If your dog has a tooth that’s infected or the pulp is exposed, your dog is in pain and likely needs a tooth extraction. When our veterinarians clean your dog’s teeth, we check for damaged teeth and “pockets” — much like a dentist does with people. We also run digital x-rays to see what your dog’s teeth look like underneath the gum line. Think of your dog’s teeth as icebergs. You can only see the top third of what’s going on. Your dog’s gums should be firmly attached to each tooth, so bacteria can’t get in and destroy the gum tissue, bone tissue and roots. That destruction (periodontal disease) is painful for your dog, and it can lead to serious issues. Our veterinarians will recommend pulling teeth if we believe it’s absolutely necessary for your dog’s long-term health and wellbeing. If we find abnormalities around a tooth, but the tooth itself is stable and isn’t infected, there are things we can do to try to save the tooth and improve your dog’s dental health. #2: Are some dogs more prone to needing teeth extractions? ALL types of dogs can fracture their teeth… and that can lead to extractions, particularly if your dog is in pain. Big-breed dogs tend to be more prone to having “dead” teeth. If the dead teeth are infected, they may need to be extracted. 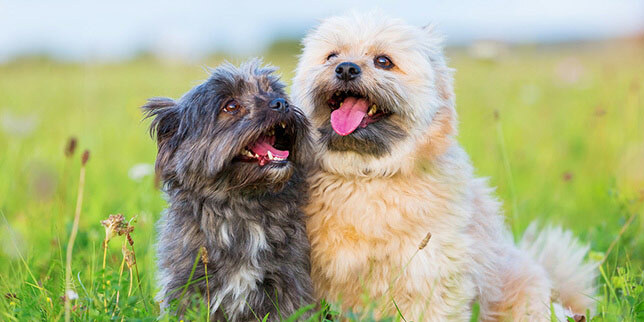 Many small-breed dogs are prone to dental issues. They get calculus faster than big-breed dogs. The calculus can get under the gum lines, causing problems. But regardless of dog breed or size, dental health is something we check in every dog. It’s estimated that as many as four out of five dogs have periodontal disease by the time they’re four years old. The good news is you can help prevent periodontal disease (and teeth extractions). By using these popular pet dental products at home, by getting regular dental checkups and by avoiding hard dog toys and bones. #3: What do dog teeth extractions cost? The best way to get a cost estimate for teeth extractions is to come in for a free dental evaluation. When we look at your dog’s teeth, we can give you a good ballpark. Then, when we run x-rays and see below your dog’s gum line on the day of the procedure, we can call you with the exact cost. Keep in mind, if your dog has been been getting anesthesia-free teeth cleanings, your dog’s teeth may look great above the gum line, but there can be problems underneath. #4: Will my dog have stitches after teeth extractions? Yes, there are usually stitches. Typically, they dissolve over 2 to 4 weeks. #5: What is the healing time and recovery process for teeth extractions? And will my dog need pain relief? Much of the healing takes place in the first 2 weeks. We usually recommend a soft food diet. Immediately following surgery… we can give your dog a laser treatment to help with healing and reduce pain. This is 100% optional. The night after surgery… we’ll give your dog extra pain medicine. 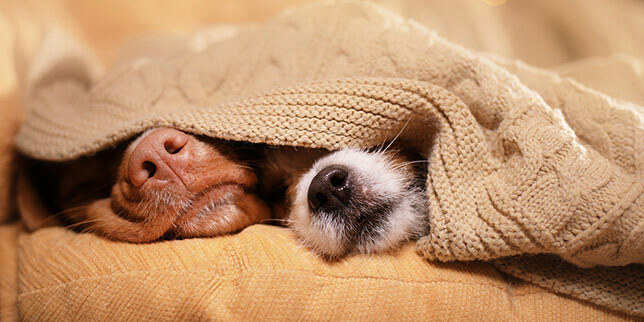 Your pup may be acting a little groggy or restless. Usually, though, he’ll get back to acting normal — or better — the next day. Your dog will be on an anti-inflammatory for a few days. We may also add a pain relief medication. And sometimes, we’ll put your dog on antibiotics to help battle any painful infections. If your dog has had a lot of extractions, we’ll have your dog come back in to make sure everything is healing properly. The good news is that many of our clients tell us their dogs act better AFTER extractions. Their dogs have been in discomfort for some time and having the teeth out is a relief. Our veterinarians offer complimentary dental exams to check your dog’s teeth and oral health. We’ll recommend the exact dental care your dog needs, if any. It’s a great way to put your mind at ease, and it’s free!